BERLIN, July 9, 2010 (AFP) - German coach Joachim Loew will be handed a new contract as a reward for guiding Germany to the World Cup semi-finals it was reported by the normally reliable Bild on Friday. 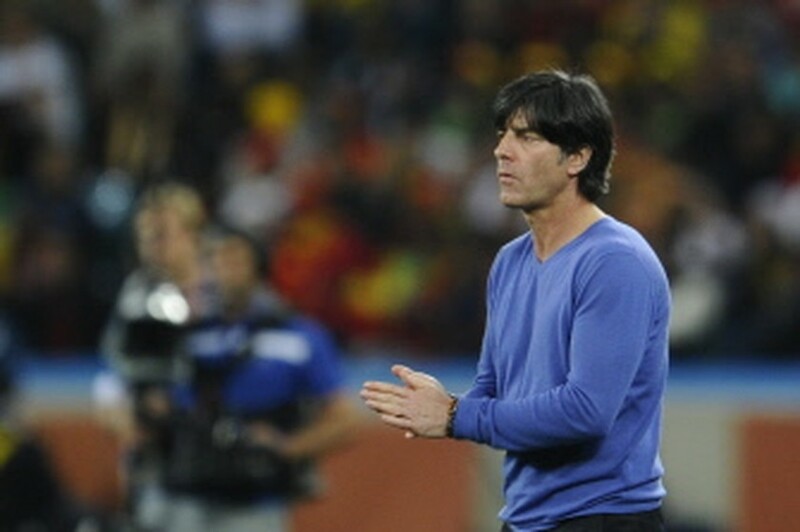 The 50-year-old - who since replacing Jurgen Klinsmann as coach after the 2006 World Cup has taken Germany to the Euro 2008 final where like Wednesday's semi-final they were beaten by Spain - has been out of contract since June 30. However, according to Bild despite initial talks having broken down earlier this year over financial disagreements and also over Loew's desire to have more control over the Under-21 side, German Football Federation (DFB) president Theo Zwanziger will rubberstamp the new agreement on July 30 at an executive committee meeting. The new contract will see Loew - who has the best overall record for a German manager of 38 wins in 55 matches - take charge till Euro 2012. Loew is still to hold talks with his backroom staff and general manager Oliver Bierhoff to see if they are satisfied with the offer on their return to Germany following the third place match against Uruguay in Port Elizabeth on Saturday. Loew's confirmation in the post will come as a huge blow to DFB technical director Matthias Sammer, who was being touted as a possible alternative to Loew and also vehemently opposed the German coach having more responsibility for the Under-21 side. Sammer, who guided the Under-21 side to European glory last year with a side including Mesut Ozil, Manuel Neuer and Sami Kedira, does not enjoy good relations with Bierhoff and has stayed away from South Africa during the finals.